Announcing Political Pitfalls - Path to the White House, a hilarious new political parody game from Audacity Games. Choose your favorite candidate, Donald or Hillary, and help them navigate all 50 states to become the next President of the United States. Each state presents a mind-bending physics puzzle in which the player swipes ropes and removes obstacles, creating a path for their candidate to reach the undecided voters. When a voter is touched by the candidate, he or she is converted to the candidate’s political party. Convert all the voters in a state and unlock the next level. 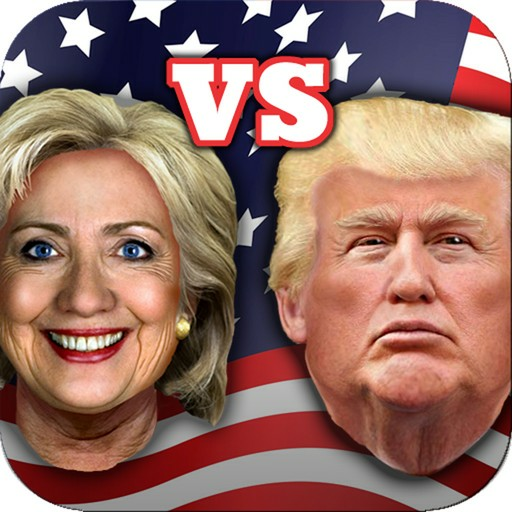 Along the way, avoid scandals, grab campaign contributions and collect Campaign Buttons, animated bloopers featuring a hall of fame of political figures, including Donald, Hillary, Sarah, Ted, Bernie, VP Joe, Pres Obama, Mitt and Pres George W. Earn 3 stars on every state to sweep the nation and propel your candidate to victory.